Tired of gifting golf tees, ties, socks, or books to your #1 Mensch? Show that special Dad how much you love and appreciate him – and take the opportunity to give him something meaningful, funny or just downright sweet. But what to buy? Does Dad love Israel? Then maybe our list of the top 6 gifts for Dad from Israel might have you covered. 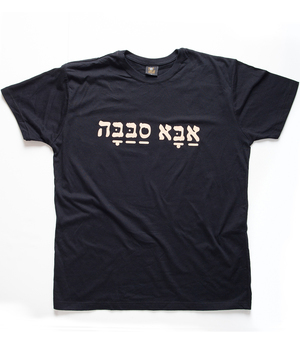 If BBQ is Dad’s forte, he is sure to love wearing the “King of the Grill” apron, “Melech Hamangal”, in Hebrew! Yes men also Schlep so our “Schlep” tote, is perfect as a book bag, gym bag, shopping, or overnight bag. How about a set of Yiddish coaster with such gems as, “Man Plans and Gd Laughs”, or “If you can’t have what you like then like what you have”, or haw about a mug that says Groise Metzeiyer - a great find. To help make the weekly kiddush club ritual extra special, Dad will surely appreciate this set of 4 shot glasses including the Yiddish, “Zay Gezunte”, to your health! Our Wine apron! Showing the various wineries in Israel. Perahps add our wine bottle cover and a bottle of wine. So there you have them – six fun and interesting gift ideas for this Father’s Day and not a tie included! We hope we have provided the inspiration you need to ensure that Dad has a very special Father’s Day 2018.